Ireland Women and Papua New Guinea Women clash in the first semi-final of the ICC Women’s World T20 Qualifier 2018 with a place in the final as well as the ICC World T20 2018 on the line. Ireland have lived up to the tag of being one of the tournament favourites by winning all three of their games so far in the tournament, against Uganda, Scotland and Thailand, while PNG have won two, against the United Arab Emirates and the Netherlands, and lost one, against Bangladesh. The two sides met for a practice game before the tournament on 5 July where Ireland came out victorious by eight wickets. The Irish have been spurred on by their opening bat Clare Shillington, who has top scored for her team in all three games with scores of 38, 47 and 27, and has given her side a good start at the top of the order each time. The bowlers have also come into the mix, with Ciara Metcalfe, Eimear Richardson and Isobel Joyce all among the wickets. Metcalfe, in fact, picked up her 100th wicket for Ireland in her last outing. That has meant a dominant streak. Chasing on all three occasions, Ireland have won by seven, nine and eight wickets respectively against Thailand, Scotland and Uganda, the last one sealing their spot in the last four. PNG recovered from an early setback – a loss to Bangladesh in their tournament opener – to beat UAE and the Netherlands, the win against the Dutch helping them qualify for the semi-final. Having put up 129/5 thanks to opening bat Kopi John’s 40 and wicket-keeper Brenda Tau’s 34, PNG bowled out the Netherlands for 85 in 16.5 overs. Mairi Tom picked up 4/24 while Ravini Oa returned with two wickets to her name. “I kept on telling myself that it was in my stepping zone for this game, so I really fought hard,” Oa said after the win. Recognising Ireland as a “good batting side” Oa said her team needs to keep things tight with the ball. 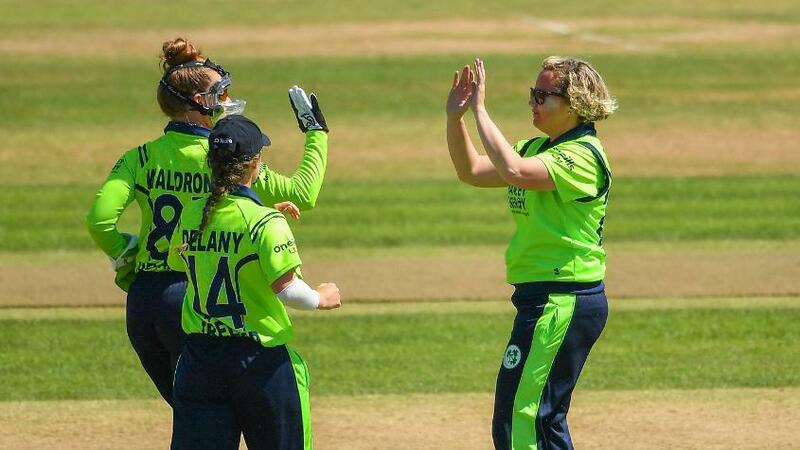 “Ireland have a good batting side, and we want to hold it by bowling tight and going really hard, so we can hold them for 80 or 100 runs to make it easier for our batters to pass the score,” she said. The task for Oa and Co. will be to dismiss Shillington early and prevent Ireland from getting a healthy start. For Ireland, it will be about continuing the winning momentum and sealing a place in the final as well as at the World T20. Clare Shillington (Ireland): The 38-year-old veteran of 90 one-day internationals has brought all her experience to the fore in this tournament and has contributed significantly to the team’s cause by scoring 112 runs in three matches. The onus will be on her to do it one more time for her team. Ravini Oa (Papua New Guinea): Having helped her side win the game against the Netherlands by picking up early wickets, including that of Sterre Kalis, the 23-year-old medium pacer is brimming with confidence. With three wickets already in the tournament, Oa is in good form, and will look to trouble the Ireland openers.